A major realignment led by Saudi Arabia is in progress in the Mideast, triggered by the Arab uprisings and by anger in the Gulf states over President Obama's responses, especially with respect to Iran. The uprising in Bahrain resulted in further sharp disagreements. The Saudis sent 1,000 troops into Bahrain to take over non-combat roles, so that the Bahraini security forces would be freed up to combat the protesters. Obama said that he opposed this move by the Saudis, and in his speech on Thursday, Obama condemned the "repressive military action." For the Saudis and the other Gulf nations, human rights for the Bahrain protesters is not the issue. What IS the issue is the concern that Iran is trying to destabilize the entire region, and that the Obama administration either does not care about this threat or is not concerned about it. Iran’s efforts to destabilize its neighbors are tireless. As Riyadh fights a cold war with Tehran, Washington has shown itself in recent months to be an unwilling and unreliable partner against this threat. The emerging political reality is a Saudi-led Arab world facing off against the aggression of Iran and its non-state proxies. Saudi Arabia has the will and the means to meet its expanded global responsibilities. In some issues, such as counterterrorism and efforts to fight money laundering, the Saudis will continue to be a strong U.S. partner. 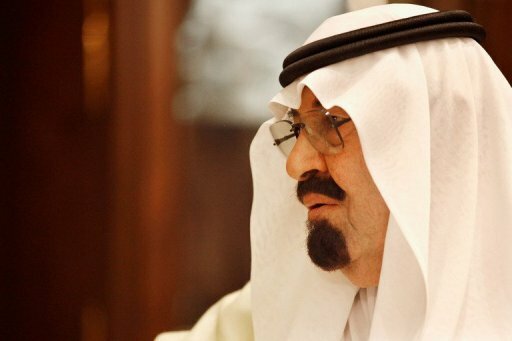 In areas in which Saudi national security or strategic interests are at stake, the kingdom will pursue its own agenda. With Iran working tirelessly to dominate the region, the Muslim Brotherhood rising in Egypt and unrest on nearly every border, there is simply too much at stake for the kingdom to rely on a security policy written in Washington, which has backfired more often than not and spread instability. The special relationship may never be the same, but from this transformation a more stable and secure Middle East can be born." The above is all just talk, but there is solid action being taken as well to support the talk. The Gulf Cooperation Council (GCC) is an alliance of six Sunni Muslim states around the Persian Gulf. Two non-Gulf Sunni Muslim monarchies, Jordan and Morocco, are being invited to join the alliance, according to Al-Ahram. Both of these countries need economic aid, which the oil-rich Gulf countries can supply. What makes them attractive to the Gulf states is that they both have well-trained Sunni armies that the GCC can use to counter the Iranian threat. The expanded GCC will establish military bases in all the GCC states, according to the Gulf News. Their purpose will be to counter any external threats from Iran in any of the countries. The mixed Shia-Sunni grouping of radicals - Iran, Syria, the Lebanese Hizballah and the Palestinian Hamas, Islamic Jihad and other Damascus-based extremists. The Sunni bloc President Barack Obama and Turkish Prime Minister Tayyip Erdogan are in the process of creating. According to the analysis, Obama conceives this alignment as America's Muslim bridge to the moderate Sunni Muslims at large as well as reaching out to Shia Iran for the sake of tempering its radical polices. I've certainly blamed President Obama for a lot of things, but it's hard for me to see what he could have done differently to avoid this mess. After the uprising in Tunisia forced Tunisia's leader to step down, there was enormous domestic and international pressure to encourage Mubarak to step down in Egypt. As far as I can tell, Saudi's King Abdullah assumed that Obama would never turn his back on Mubarak, and was shocked when it happened, while Obama was apparently shocked to learn later how furious Abdullah was. However, even if Obama knew of Abdullah's feelings, the pressure would still have been enormous, and even today many young Egyptians are criticizing Obama for waiting as long as he did. Another issue is President Obama's disastrous speech on Thursday, including his statement that an Israeli-Palestinian deal should start with the 1967 borders. Given Saudi Arabia's anger that the U.S. has not stopped Israel from building new settlements in the West Bank, it's possible that Obama's demands were an attempt to placate the Saudis, and possibly head off the GCC plan. If so, then it was a desperate attempt, and I doubt that it will have any effect. On the other hand, the harsh scolding that Israeli prime minister Benjamin Netanyahu gave to President Obama in the White House on Friday might have been planned in advance to give Obama cover in his relationships with the Saudis. From the point of view of Generational Dynamics, the Mideast is headed for a major war, as I've been saying for years. This war is coming with 100% certainty, and neither President Obama nor any other politician can either cause or prevent it. The only thing we don't know is the exact scenario that will lead to this war. This "tectonic shift" in the Mideast is a fascinating development. Events are moving quickly, and we may soon have a better idea which Mideast nations will be fighting which other Mideast nations, when this war is finally launched.